Choose the clothing for hiking according to the weather conditions. You should check how the weather condition at the trial before going for hiking so that you can wear the cloths according to the weather condition. Even if you have the specifics, you should still wear clothes that are comfortable. Choosing the cloths that prevents precipitation and keeps the wetness away should be considered as the best clothing for hiking. You should also wear shell layer and insulating. Avoid using cotton it does not dry fast when you get wet and also holds moisture close to your skin. 1. Go to the clothing store and go bathing suit dept. to purchase hiking short. There you can find Columbian water shorts that comes with a built in liner (underwear is not required). These shorts are water repellant and dry very fast. 2. If you are troubling with thigh chafing, then you can wear Lykra shorts that go tight around the thing and it prevents thigh chafing. 3. In winter season, only wear the layering system to protect yourself from cold conditions. Many people prefer wool base, an insulating layer in the middle and water repellent as an outer shell, most importantly breathable shell. 4. Pack your hiking clothing in a waterproof bag like a silnylon-stow-sack. 5. 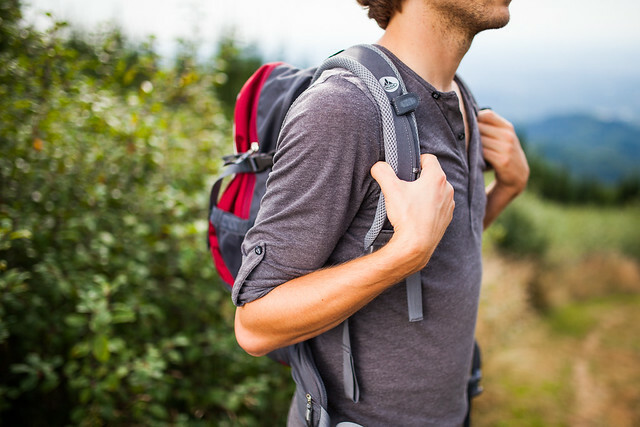 Once you go home wash all the hiking cloths separately and keep them ready for your next hiking trip. 6. When you are hiking in summer time, then don’t forget your summer hat. The hat with a strap and rim is suggestible to avoid heat and also wear sunglasses and sunscreen before going for hiking. 7. It is advisable to light colored clothes, especially when you are going with a group because it will easy to spot when you miss the way. Conclusion: Basically hiking clothing include base layer, insulating layers and final one is outer shell layers , these layers protects you when you are hiking in cold weather conditions. Avoid cotton as it damps your cloths. So the final advice is wear the cloths that are comfortable and contains wick-away abilities.